Welcome to 2013 and Happy new year. From past 1 month and so, I have again shifted my base to Gandhinagar. I love this place. Good place to relax and do your job. Gandhinagar has always held a special place in my heart. Right from my childhood, I have been coming to Gandhinagar almost every year for 1 week stay to couple of months or more. Why do I come that often? Well, I like greenery and when you want to see greenery in a city or a city in a green environment, you have to head towards Gandhinagar. When I was small, I used to come during my vacations with my parents to Gandhinagar to visit my cousins and uncles. Sometimes, during weekend holidays, I used to hitch a ride with my grandparents in my car who used to go to visit my uncles. My grandfather was a high rank officer who was a forest officer in Gujarat cadre. His genes came down to me, and I started loving greenery. Every time I used to set foot in Gandhinagar or the local limits of Gandhinagar city would start, I would come to know. How? By the sheer greenery of trees around the city, you can get to know it. Gandhinagar is the capital of Gujarat state. So naturally, you have the who’s who of Politics and Gujarat Ministry staying in Gandhinagar. Gandhinagar is just near Ahmadabad or you can say on the outskirts of Ahmadabad. But in the recent times, it is difficult to note the difference as because of recent developments taking place, they have become interconnected. Where Ahmadabad starts, Gandhinagar ends and vice versa. If you happen to live in Ahmadabad, you will notice the difference or the contrast. How was Gandhinagar named? Yes, you guessed it right. The city was named so after the name of Mahatma Gandhi, the father of the nation. Gandhinagar-as said before is the capital of Gujarat and is located from 23 km north of Ahmadabad. 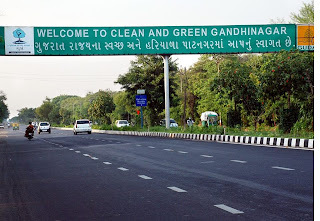 Gandhinagar starts where Ahmadabad ends. This city is well known for its education and research institutes. It is also believed to be second planned city in India after Chandigarh. The city does not have any societies but has sectors instead as its residential area. There are total 30 sectors each in Gandhinagar. The main attraction of each sector is that each has its own shopping center, health center, school and Yes Gardens and Parks! There is extensive planting of trees on both sides of the road which gives the impression of the city as a garden city. The population of Gandhinagar as it is the capital of Gujarat? Well it is only about 2.8+ Lacs approximately. And the weather? Oh well, that’s the other reason why I keep coming to the city. Because of the greenery, the weather remains around 35*c to 40*c at day time and at night time it goes to 19*c to max 28*c. Night time in Gandhinagar is always cool. Cool breeze, greenery and little coldness. What more do you want? What is the Structure of the city? The city was planned by the Architect H.K. Mewada and his assistant, educated in Cornell University. Both had experience in Chandigarh city planning. The streets of Gandhinagar are numbered on Gujarati alphabets like k", "kh", "g", "gh", "ch and more. All streets cross on every kilometer. The Roads are built such that traffic coming from Saurashtra can go to Gandhinagar directly without going to Ahmadabad. The road Link also gets connected to National Highway No 8 by 5 km link road. The main city roads are normally rectangular of 1/3.4 km grid. The roads are built such like 30° North West and 60° north east to avoid direct morning and evening sun during journeys to and from work areas. There is ample scope for the natural air to come through wherever you are. The government offices consist of the Gujarat parliament, offices of the local government and local administration. Public areas consist of homes and plots allotted and built by/for the public. Large gardens and playgrounds are available for public within walking distance. Shopping center and schools, health centers are also very near to the public within each sector. Almost everyone living in Gandhinagar has a small garden at their homes. There are around 300 persons per hectare Each sector has a post office, Police station, Banks, Clubs and a small play field area. Now that we have seen the structure of the city, let me tell you the geography of this city in brief. Gandhinagar stands at an average elevation of 82 meters. Gandhinagar as I said before is laden with trees everywhere, as it has 55% of green cover of its land area. The Gujarat capital territory has defined about 20,543 km square around Gandhinagar. It is located from 23 km north of Ahmadabad. If you are a lover of history, then you can visit the famous Adalaj step well, which is 18 km to south of the city. The well was built in 1499 by Queen Rudabai. Then there is the famous Indroda Park which is like a mini zoo consisting of various sections like Jurassic park theme where you can find eggs of Dinosaurs from past ages, Deer Park, Snake Park, Different varieties of birds. There is also a small zoo where leopards and tigers are kept in cages. 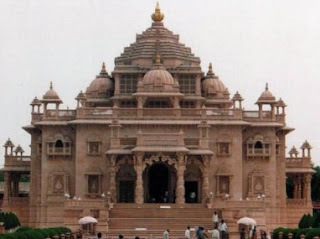 A new structure is been building in the memory of Mahatma Gandhi called ‘Mahatma Mandir’. It is located at sector 13. It will consist of museum, foods court, convention and exhibition center and landscaping pathway. There is also a children’s park in sector 28 which has a small mini train and a small lake with boating facilities. That is why it is also a good place for jogging, but be prepared to be run after by dogs who prefer to chase if you if they are in one of their moods. The roads are just fantastic as they are straight and smooth which makes you to speed up your vehicles without any roadblocks as such. People are peace loving and silence preferring. For those who want to come to Gandhinagar, They can come by Road from Ahmadabad or by other place. The bus stand is near the city limits only. The city also has railway station connected where 5 trains come every day. 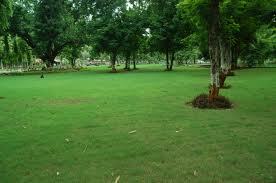 So overall, if you want to seriously spend your time in a quiet place in weekend, come to Gandhinagar. If you haven’t been to and seen Gandhinagar, you haven’t been anywhere.